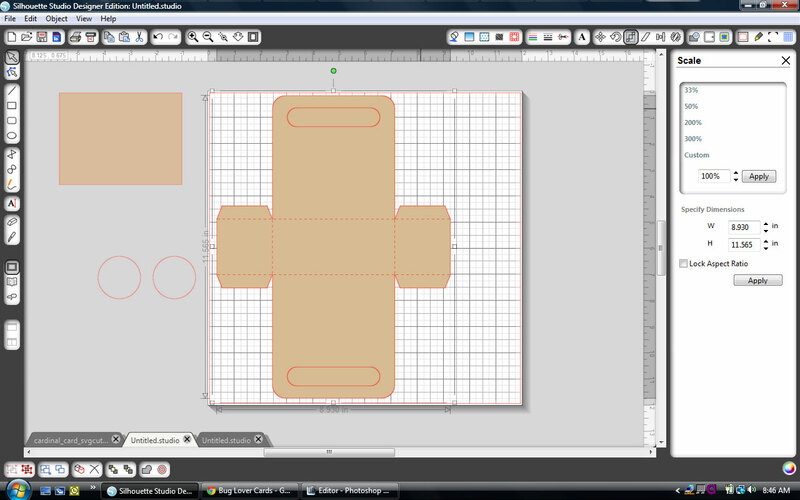 I have a cute gift idea to show you today. I love coffee and really enjoy sharing my favorite K-cups with my friends. 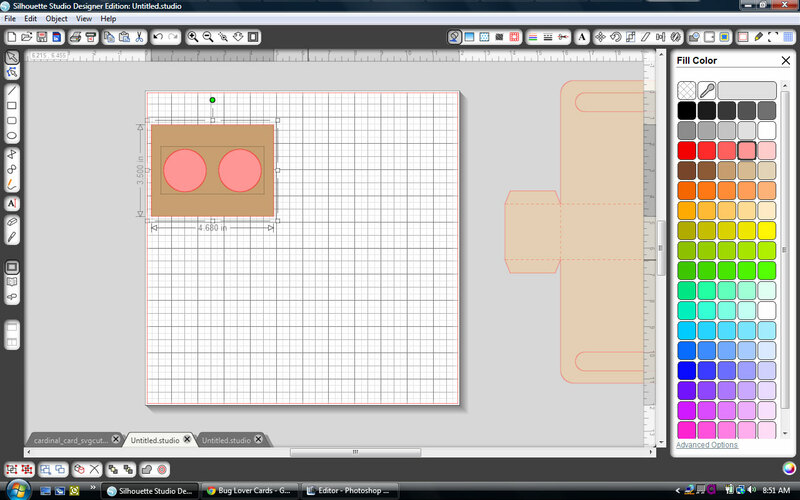 I altered Lori's 3d box (design #27558) to hold to k-cups. 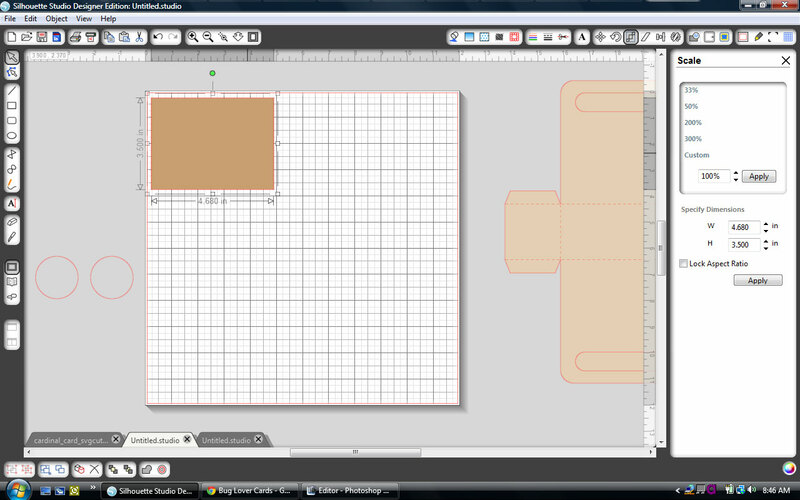 First enlarge the box to 11.565"h (keep aspect ratio). 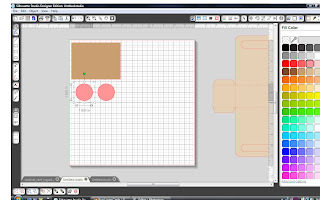 Next draw a rectangle that is 3.5"h x 4.680"w.
Draw a circle that is 1.625 x 1.625 and then duplicate so you have two matching circles. 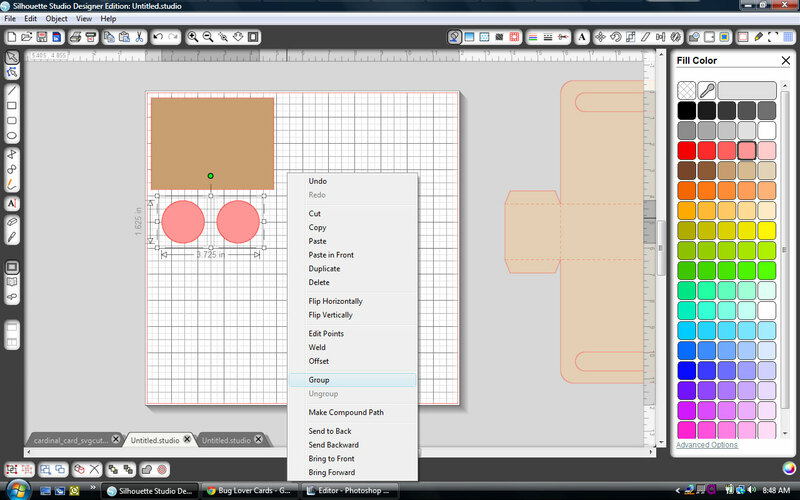 Select both circles and pull down from the object tab to align tops. 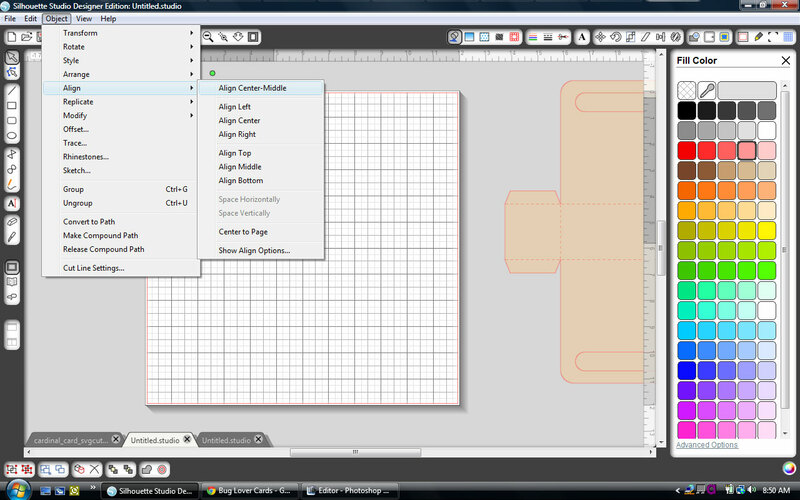 Select them both and then right click and select group. 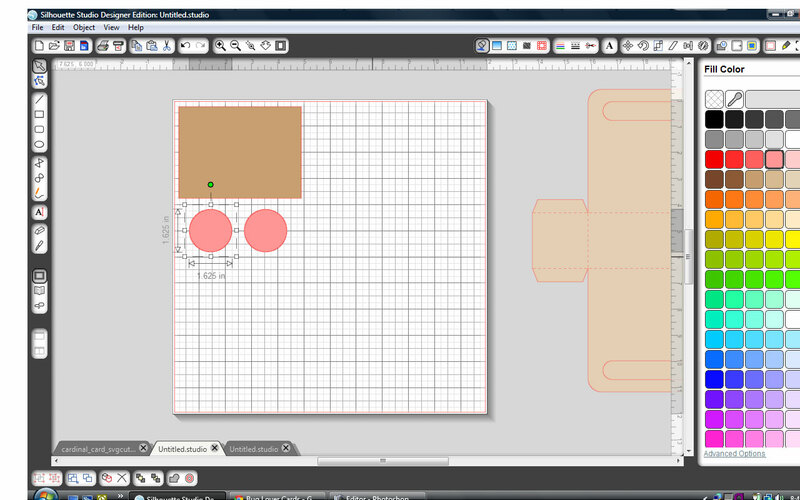 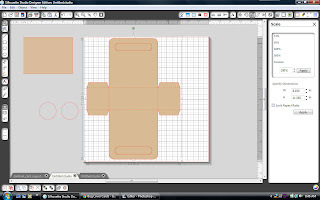 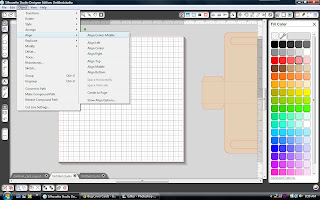 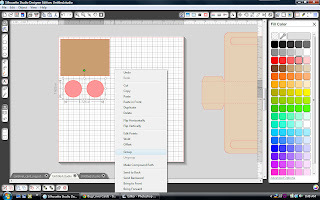 Select the rectangle and circle and pull down from the object tab to align center-middle. This piece is then glued inside the box to hold the k-cups in place. 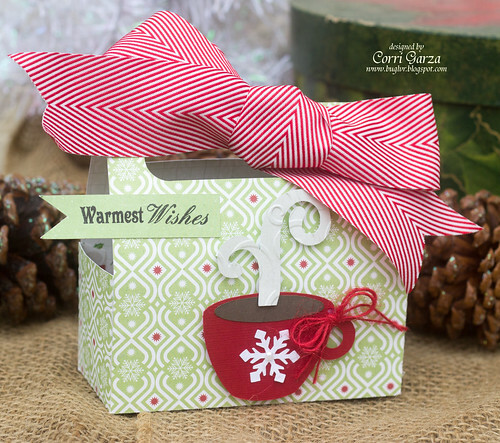 I embellished the outside with a cup from this set and a pretty red chevron bow.